Branded Garden Products Limited, (trading as Van Meuwen) is registered as a data controller on the UK Data Protection Register. Our registration number is Z6288594. We collect personal information about you as soon as you access our website www.vanmeuwen.com using a smartphone or computer and also when you call our customer service team. The specific information we collect depends on whether you are a customer or a website visitor. If you buy a product from our website or catalogue, you become a customer of Van Meuwen. The specific information we collect is detailed below in the What personal information we collect section of this document. The personal information we collect from you when you access our website comes in two parts: the information you give us when you complete our website forms, and the information we automatically gather from the device you use to access our website. • Payment details: if you order products from our website, your payment details will be processed by our payment processors Verifone and Paypal. Van Meuwen does not store any of your payment details; we are given a transaction ID by our payment processor. Preferences on our website: you can change how we stay in touch with you, and what we inform you about by emailing care@vmplants.com or calling 0333 400 0022. • Payment details, if you order products from our website, your payment details will be processed by our payment processors Verifone and Paypal, Van Meuwen does not store any of your payment details, we are given a transaction ID by our payment processor. If you attach a cheque to your order coupon, this is banked, no details of your bank account are stored by us. Preferences by catalogue and by phone: you can change how we stay in touch with you, and what we inform you about via the preferences section of our website (see above). If you do not want to do this, you can change your preferences on the order form in the catalogue or by phoning our customer service team 0333 400 0022. There are several main purposes for gathering your personal information: for marketing activities, deliveries, and for transaction processing. Transaction processing: when you purchase a product from our website or catalogue, you become a customer of Van Meuwen, so we retain personal information on you whilst you remain an active customer of ours and also for a short time when you no longer order from us. When you make an enquiry about a product of ours, we also retain the personal information you give us in your enquiry for a limited period of time. Our Data Retention policy below explains how long we keep your personal information. In all cases for transaction processing, our legal basis for processing your personal data is contract. Deliveries: We will need to print your name and address on delivery notes and despatch labels, in order to deliver any goods you order from us. Please note that in order to resolve delivery queries once goods are on their way to you, that we may print your phone number on the despatch label to aid the courier in the event of a query about your delivery. You may receive an email from our courier with updates on your delivery including information to enable you to track your order. Our couriers destroy any personal data provided by us once your goods have been delivered. Marketing activities: we have separated out each marketing activity that your personal data is used for below. Note that any customers or website visitors who don't want to receive marketing communications from us can email care@vmplants.com to update their preferences. Van Meuwen will never send you a marketing communication that doesn't have a method of opting out from our marketing communications contained within it. Profiling: we plan to build profiles from all the information that we have about you, so that we can do two things; firstly we want to surface product advertisements and gardening hints and tips to you via social media. Secondly we want to develop a 1:1 communications programme with you, so that can send you email communications that are specific to you. We believe this will make our dialogue with you more personal and more accurate. You can opt out of having your data used in profiling at any time by emailing care@vmplants.com or calling 0333 400 0022. The legal basis for processing is legitimate interest. Social media: we want to increase our engagement with you on social media, which we hope we will help us reduce the number of catalogues we produce in the medium term. So, you may see product advertisements & gardening hints and tips from us on some social media platforms, including Facebook. You can opt out of T&M messages on social media at any time by emailing <care@vmplants.com or calling 0333 400 0022. The legal basis for processing is legitimate interest. • Inserts: Van Meuwen will sometimes include inserts from carefully selected and reputable organisations into your deliveries. Please note that at the time of writing, it is not possible to opt out of these inserts. The legal basis for processing is legitimate interest. • Newsletters: we will email customers and enquirers newsletters containing horticultural tips and growing/maintenance instructions for our products. The legal basis for processing is legitimate interest. • Competitions: Van Meuwen sometimes offer competition entry via both email, the website and coupon. Competition entry is sometimes conditional on providing us with additional demographic information about you, which in turn allows us to further customise our communications and product offers to you. The legal basis for processing is legitimate interest. • Surveys: We occasionally survey portions of our customer and website visitor database to find out more about your experience using Van Meuwen and to find out how we can improve our service delivery to you. The legal basis for processing is legitimate interest. • Site optimisation: the device-level information we automatically gather about you allows us to optimise the speed and performance of the website for you. The legal basis for processing is legitimate interest. • Anonymous web analytics: Van Meuwen aggregates and anonymises all your activity on our website for traffic analysis, to help measure and improve the website performance. We also use this anonymised data to monitor the effectiveness of our advertising. Your personal data is anonymised in this process, so there is no requirement under GDPR for a legal basis for processing. • Business Insight: your personal data and any order history goes into our business insight platform. We use this application to gain detailed insight into how to improve our product and service offering to you, and to also create statistical models to predict your likely purchasing intentions in the future. You can request that your data is removed from this business insight process by emailing care@vmplants.com or calling 0333 400 0022. The legal basis for processing is legitimate interest, you can request that we remove your details from our business insight process. • Data sharing: we sometimes share customer data with other reputable organisations mainly in the following sectors; charities, houseware, finance & gardening, for the purposes of postal marketing. You can opt out of this marketing at any time either online, via our order forms, or by contacting our customer service team: care@vmplants.com or on 0333 400 0022. The personal information we collect about you is stored within our secure UK IT Data Centre. No identifiable personal information is stored or shipped to non-UK/EU locations. Your personal information is stored in databases which are encrypted at rest, providing the highest level of security. All personal information is moved to and from our website www.vanmeuwen.com via an HTTPS connection, which means that the transfer of data is also encrypted. Access to your personal data held on databases managed by Van Meuwen or its' authorised subcontractors, is granted only when there is a need to use the data, no permanent access exists. Van Meuwen is amending our IT policies to further protect your personal information by adopting 'Privacy by Design', an information management standard that seeks to anonymise personal data held in commercial databases to further protect that information. You can find out more about this anonymization process by following this link. Van Meuwen will only use your personal information for as long as you remain a customer, and for a short time after your last order. The maximum amount of time that Van Meuwen will retain your personal information in a data archive is seven years, except in the event of a legal dispute. This seven-year limit is based on the legal requirement to maintain details of transactions as described in the Companies Act 2006. We have listed below how long we store your personal information for, which depends on your relationship with Van Meuwen. If you made a purchase from us: we will keep the information you gave us and details of what you bought for up to seven years from the date of the last transaction with us. After that time your personal data will be anonymised, but we will keep your purchase and marketing history. If you enquired about a product, but did not make a purchase: we will keep the information we have on you as an enquirer for up to three years. After that time your personal data will be anonymised, but we will keep your enquiry and marketing history. If you wrote to us: we will keep any correspondence with you for six years, although we do keep this information longer if your correspondence is a complaint. Epsilon Abacus, whose registered office is 67 Broad Street, Teddington, TW11 8QZ, for the purposes of business insight and data aggregation. Epsilon is registered as a data controller, Z6627112. We work with Epsilon Abacus (registered as Epsilon International UK Ltd), a company that manages the Abacus Alliance on behalf of UK retailers. The participating retailers are active in the clothing, collectables, food & wine, gardening, gadgets & entertainment, health & beauty, household goods, and home interiors categories. They share information on what their customers buy. Epsilon Abacus analyses this pooled information to help the retailers understand consumers' wider buying patterns. From this information, retailers can tailor their communications, sending people suitable offers that should be of interest to them, based on what they like to buy. Epsilon Abacus host their data centre in Dublin, Ireland, so within the EEA. However, some employees of their USA and India affiliates (which are listed here https://resources.epsilonabacus.com/epsilon_abacus_vendors) have got access to the servers held in Dublin because they provide technical support to Epsilon Abacus. This type of "screen access" qualifies as a transfer of data under the GDPR, even if no files are "moved" outside the data centre. GDPR allows data to be transferred outside the EEA in the absence of an adequacy decision by the Commission when "appropriate or suitable safeguards" are present (see Article 46). Data transfers to Epsilon affiliates based outside the EEA take place in accordance with Epsilon's Interaffiliate Data Processing and Transfer Agreement, which incorporates the Standard Contractual Clauses (aka "EU Model Clauses"). We believe that these measures satisfy the requirements in regards to "appropriate safeguards". Qbase Data Services, whose registered office is 31-33 Bold Street, Warrington, Cheshire, WA1 1HL, for the purposes of building a single customer view database and business insight platform. Qbase is registered as a data controller, Z842993. Dynamic Data Services, whose registered office is Wetherby House, 7 Market Place, Wetherby LS22 6LG, for the purposes of list rental marketing. Dynamic Data Services is registered as a data controller, ZA263043. Red Eye International, whose registered office is Oak House, Crewe Hall Farm, Crewe, CW1 5UE, for the purposes of email marketing. Red Eye is registered as a data controller Z9006942. 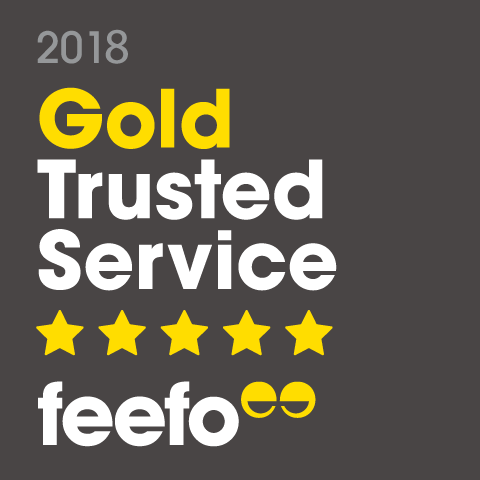 Feefo, whose registered office is Feefo Barn Heath Farm, Heath Road East, Petersfield, Hampshire, England, GU31 4HT, for the purposes of conducting customer satisfaction surveys on our products and overall service delivery. Feefo is registered as a data controller Z2323576. Twitter International Company: whose registered office is 1 Cumberland Place, Fenian Street, Dublin 2, D02 AX07, Eire, for the purpose of providing custom audiences on the Twitter social media platform. BVG Group companies: periodically Van Meuwen will share its' customer information with other BVG Group companies who have products and services that are relevant to the clothing and home & garden markets. Those companies will then send you marketing information by your preferred method (post or email), on products that are directly related to your purchases with Van Meuwen. You can opt out of these communications at any time, by emailing care@vmplants.com or calling 0333 400 0022. The group companies most likely to contact you are: Clifford James, Happy Beaks, Waltons, & Thompson & Morgan. You can contact Van Meuwen using the information below, to request a copy of the personal information we hold on you. If you request this information, you will need to provide proof of your identity. We will return the information to you electronically in a text file. You are legally entitled to request this information under the General Data Protection Regulation, there is no charge for this service. To create an online request for a copy of your personal information, please visit our Subject Access Request portal at https://sar.vanmeuwen.com. To request a copy of your personal information via post, please write to: Data Protection Officer, Van Meuwen , Poplar Lane, Ipswich, Suffolk, IP8 3BU. If you do not want to receive communications from Van Meuwen , you can change your preferences by emailing care@vmplants.com. You can also opt-out directly from emails and SMS messages that we may send you and you can use the opt-out section of the order form in our catalogues. Lastly, you can phone our customer service team on 0333 400 0022. You can find out more about your rights regarding your personal data in the UK from the Office of the Information Commissioner www.ico.org.uk. Data Controller: under the General Data Protection Regulation (GDPR), organisations that collect, process and store your personal information are defined as Data Controllers, which makes Van Meuwen the Data Controller for your personal data collected from our website. Data Subject: GDPR classifies individuals as data subjects. So you, the customer or enquirer of Van Meuwen are a data subject under GDPR if you purchase or enquire about our products. Data Processor: a data processor is an organisation other than the data controller, who processes your personal data on behalf of the data controller. A good example of this is PayPal, who are one of the payment processing options for any products that you buy online. The data processors who handle your personal information gathered by our website have the same duty of care in handling your personal information.